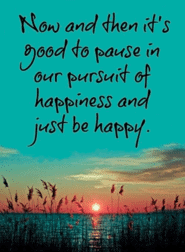 Our latest collection of Inspirational Quotes About Happiness on Everyday Power Blog! Happiness is not about what is going on around you, but rather what is happening inside you. It comes from within. Striving to be happy everyday may be difficult – but if it were easy, everyone would be happy all the time! We all know that is not the case. As they say, hard work is its own reward, and any goal worth achieving requires effort. Happiness is an objective worthy of your time and efforts. So where does one start on the path to happiness? 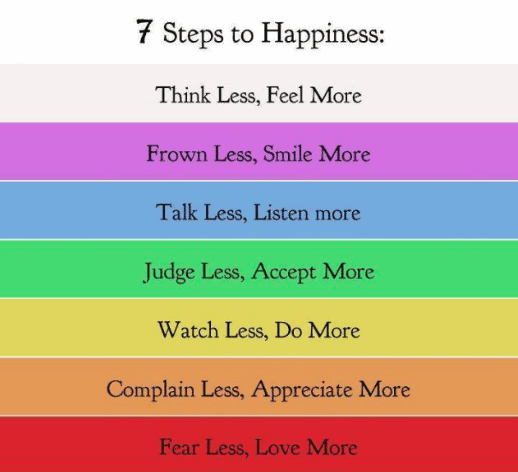 We suggest the simple exercise of reading inspiring quotes about happiness everyday. This is something that anyone can do, and to start you off, we have listed our fifteen favorite inspirational quotes about happiness in life below. – Choose a quote from the list of quotes on happiness below. Pick a quote that appeals to you and that gives you a lift as you read it. – Find a quiet place. Take a few slow, deep breaths and clear your mind. Give yourself permission to stop thinking for a few moments and try to let go of any stress you are feeling. Relax your entire body. The basic idea is to declutter your mind, which then allows you to sharpen your focus on the goal of being happy. – Read your selected quote on happiness slowly, focusing first on the meaning of each word separately and then on the entire quote on happiness as a whole. This simple technique will help you to embrace the positive and help you on your path to being as happy as you can be. Are you making a consciously decision to be happy? And it always fits just right! Sometimes we make happy so elusive and so difficult. What if we just stopped for a moment and said thank you for everything that we have and everything that we are.